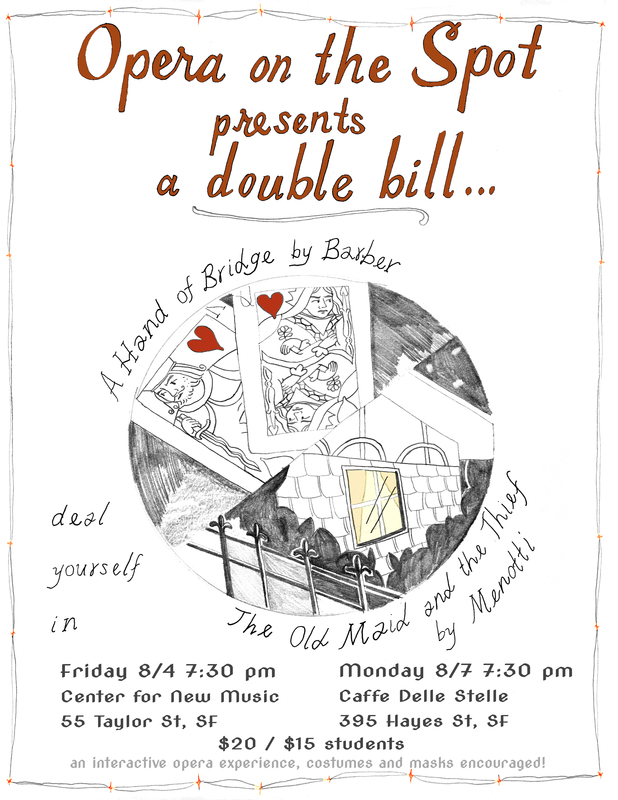 Join Opera on the Spot for cabaret-style performances of two one-act operas, Hand of Bridge (Barber) and The Old Maid and the Thief (Menotti). In both of these quirky and lesser-known works, appearances can be deceiving: an otherwise ordinary hand of bridge becomes slowly fraught with desire, and the niceties of small talk give way to feelings of resentment and desperation. Deal yourself in, and join us for an immersive evening of operatic antics!